ROTORcap is a basic miniature pixel typeface I made while designing the web site for CAP&Design, the premiere swedish graphic design magazine. The font become more wide spread than I had ever anticipated which was a great shame since it was quite hastily conceived. Some time later I revised it and called the updated version ROTORcap Neue, but I dont think I ever spread it much. FFWD to 2013: A good use-case for this kind of pixel typeface is rather hard to think of today, but I could still feel an urge to have a proper version of this classic from time to time. So, to prepare myself for exciting future typographic endeavours, I decided to dust off the old ROTORtype catalogue and release the final versions of our typefaces. 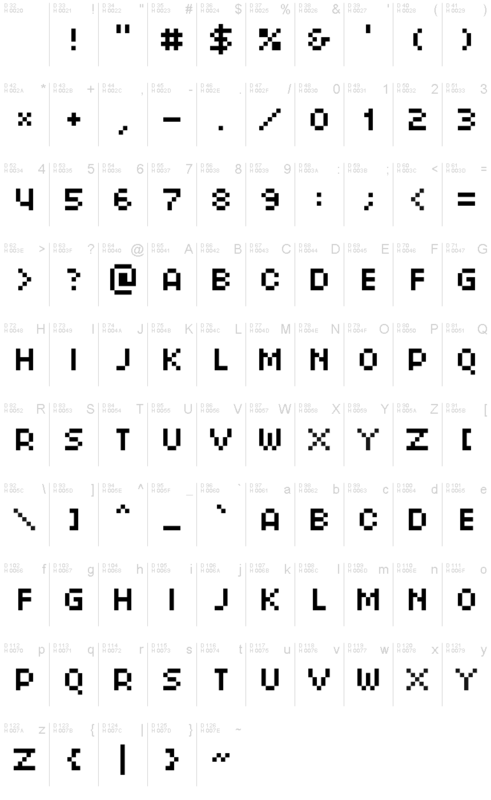 The pixels are essentially unchanged, but the metric and kerning tables are updated and the fonts are generated as modern cross-platform OT/TTF files. Great!